Pengertian dan Contoh Kalimat Adverb of Frequency Bahasa Inggris – Adverb of frequency adalah adverb yang menerangkan atau menyatakan seberapa sering suatu kegiatan dilakukan. Adverb of frequency terdiri dari adverb of quantity dan adverb of number. How often digunakan untuk mengajukan pertanyaan yang menunjukkan quantity, sedangkan how many times untuk number. Kata-kata yang sering digunakan untuk menyatakan adverb of quantity diantaranya: always, often, seldom, never, etc. Sedangkan untuk menyatakan adverb of number bisa menggunakan: once, three times, etc. I usually go to school at 7 o’clock in the morning. Sometimes I feel bored with my job. My boyfriend often brings me a bucket of flowers. She never hang out with her friends without make up. Elli seldom visits her parents at her hometown. I frequently rearrange my bedroom. The manager is rarely go home early. Raffi occasionally plays badminton with his kid. The old man and the old lady, hardly ever goes to mall. I always eats breakfast before I go to school. I do the exercise twice a week to keep my body in shape. My mother clean up the whole house once a week. I already read the book three times today for facing the examination tomorrow. He only go to his hometown once in a year. I take a bath twice a day. 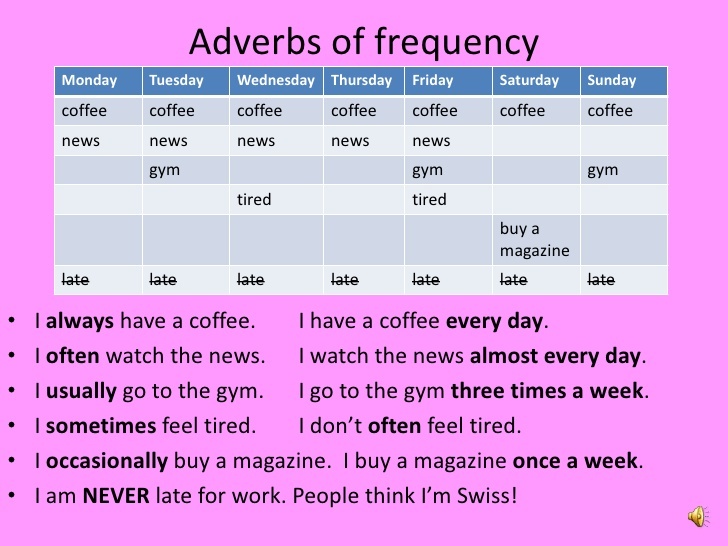 Itulah tadi pengertian dan contoh kalimat adverb of frequency. 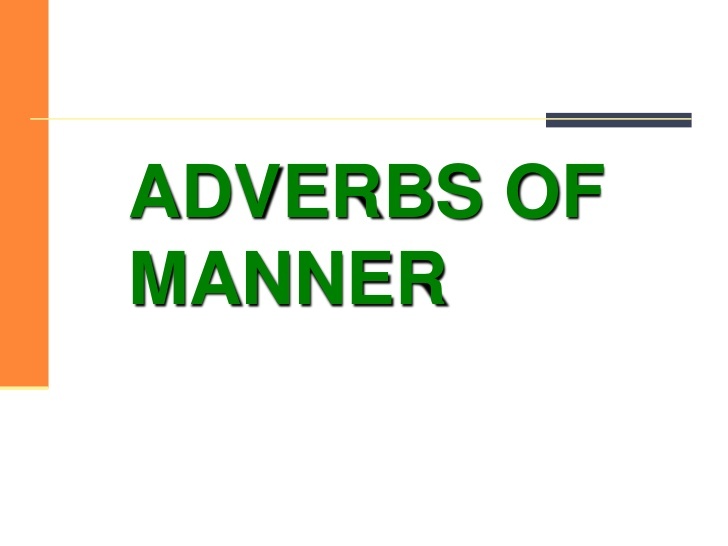 Perlu diingat bahwa adverb of frequency terdiri dari adverb of quantity dan adverb of number. 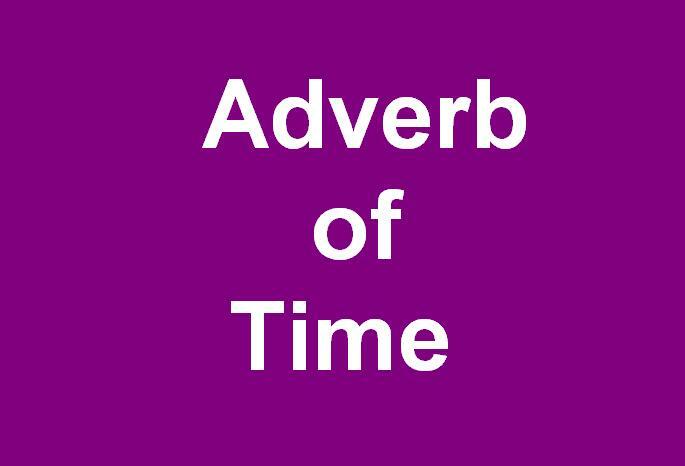 Untuk menyatakan adverb of quantity bisa menggunakan kata-kata: always, often, seldom, never, etc. Untuk menyatakan adverb of number bisa menggunakan: once, three times, etc.